A small town pianist ponders a new life away from her embarrassing mother when a beautiful girl shows up and changes everything. Perfect for fans of Sarah Dessen, Nina LaCour (Hold Still), and Becky Albertalli (Simon vs. the Homo Sapiens Agenda), now available in paperback. Grace, tough and wise, has nearly given up on wishes, thanks to a childhood spent with her unpredictable, larger-than-life mother. But this summer, Grace meets Eva, a girl who believes in dreams, despite her own difficult circumstances. One fateful evening, Eva climbs through a window in Grace's room, setting off a chain of stolen nights on the beach. When Eva tells Grace that she likes girls, Grace's world opens up and she begins to believe in happiness again. 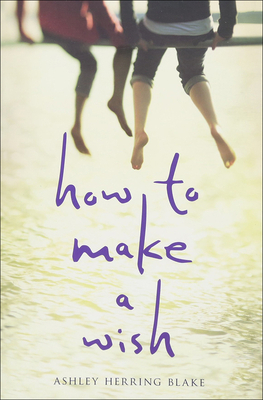 How to Make a Wish is an emotionally charged portrait of a mother and daughter's relationship and a heartfelt story about two girls who find each other at the exact right time.